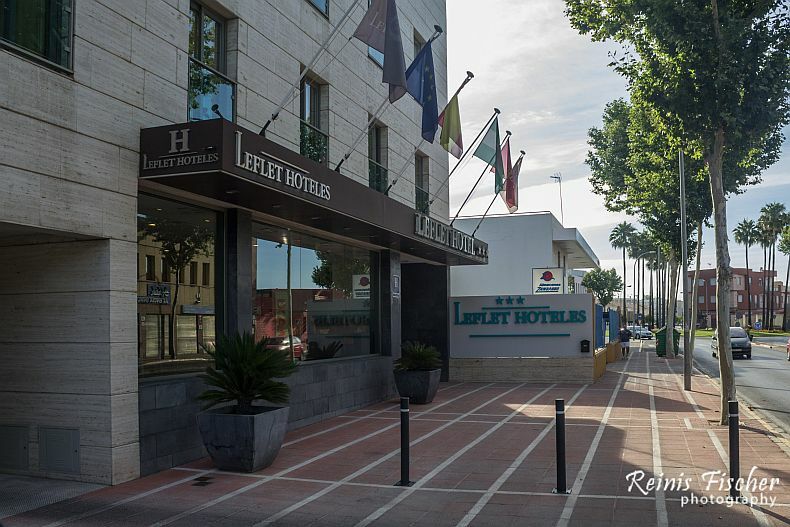 Leflet Valme is a 3-star hotel located in a small town of Dos Hermanas in province of Sevile, Spain. We booked this hotel for one night prior of visiting Seville next morning. Our road took us here from Cadiz, and in fact we almost missed exit to Dos Hermanas town, luckily rental car's tomtom device helped us to locate both town and hotel. In short a decent hotel for a decent money. The hotel is easily accessible from A-4 motorway and SE-30 road. Seville is 12 km from the property and can be reached by public transport. There is a bus stop 1 minute on foot from the property. Free continental breakfast with coffee and tea, natural orange juice, toast, and cake. Lovely! 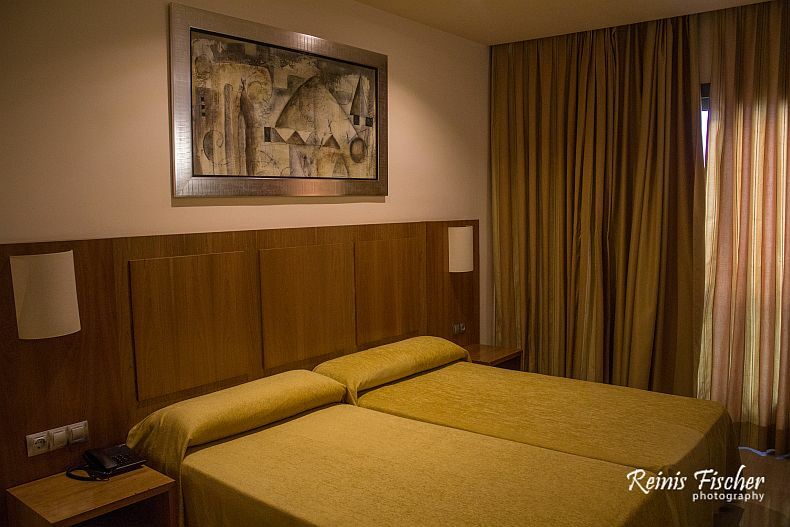 All rooms have air conditioning, heating, and flat-screen TV. There is also a telephone and a safety deposit box. The private bathroom comes with a bathtub, free toiletries, and hairdryer, as well as rooms specially adapted for people with disabilities. Leflet Valme Hotel includes a bar with a satellite TV, where you can watch all the football games of the season. Good location, free parking in front of the hotel, decent Wi-FI. We paid about EUR 70.